As many of my readers know I buy bananas several times a month and make sure I buy more then we can eat. I do this so that I have a reason to make banana bread or banana muffins for my breakfast. Even though I love my banana bread, sometimes it needs to jazzed up. 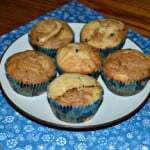 In the past I’ve made banana chocolate chip muffins which were rather tasty. I’ve made banana muffins with caramel glaze. 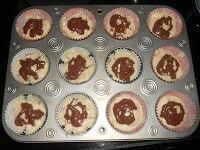 I’ve even made banana nut muffins with a chocolate frosting on top. As I looked through my pantry my glaze landed on a jar of Nutella. 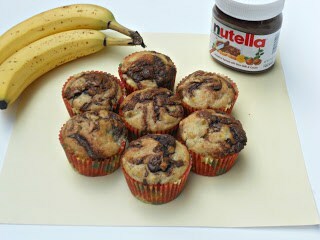 I quickly decided that Nutella would be delicious with my banana muffins. 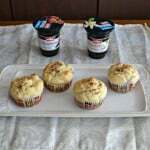 I whipped up a batch of banana muffins and poured them in to muffin cups. 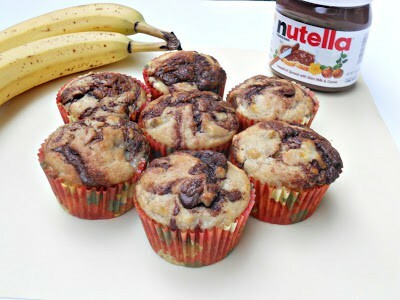 I then melted the Nutella and swirled it into the muffins. They ended up being awesome! Soft muffins packed with banana flavor and sweet chocolatey Nutella. 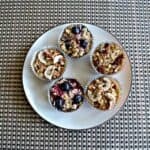 These were not only perfect for breakfast but they were great as a snack on the go! 1. Preheat the oven to 350 degrees. Line a muffin tin with 12 cupcake liners. 2. In a medium bowl combine the flour, baking powder, baking soda, salt, and cinnamon. 3. In a large bowl beat the butter, sugars, and eggs together. Add in the applesauce and mix well. 4. Slowly add the flour mixture to the sugar mixture and stir well. Add in the bananas and mix until well combined. 5. Pour the batter into the prepared muffin tin filling about 2/3 of the way full. 6. Place the Nutella in small bowl and microwave 30 seconds. Place a few small dots on top of each muffin then swirl with a butter knife. 7. Bake for 20-25 minutes or until a toothpick comes out clean. Remove from the oven and cool on a wire rack. Hi there! Found you at Foodtastic Friday, and am now following you via GFC. This looks great! I pinned it and will definitely make these. Thanks for sharing! Visiting from Foodie Friday. Even though I’m not big on bananas, I do like the combo of banana & nutella. Your muffins look great! And I just happen to have a bit of nutella left…probably enough to make 1/4 cup. I would definitely love to try this! 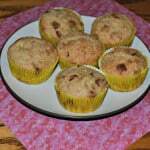 Gotcha from Simple Living and Eating Foodie Friday link party. Thanks for this! Gonna pin it! 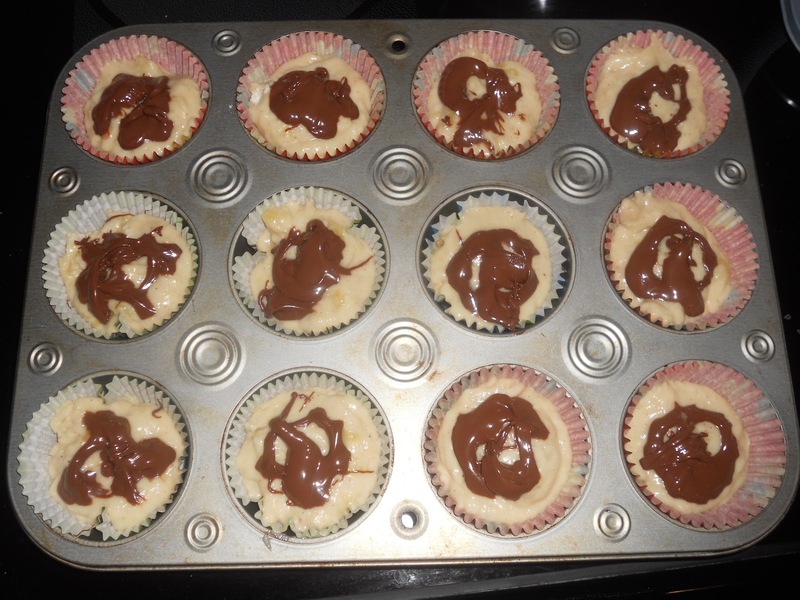 Made these muffins tonight…LOVE THEM!!! Thank you! Do the bananas have to be overly ripe? Or will normal ripe yellow ones work?